TIFF 2014: Film Buzz, which films we are most excited about?! Like a kid searching through a catalog of goodies, the TIFF Programme Schedule is a virtual cornucopia of exciting adventures, just waiting to be taken. Every year some of the absolute best films come to debut in Toronto, and many of them will be awarded as such! In fact, every film (save one) in the last ten years that has won the Oscar for Best Picture screened at TIFF. Which films will be the front-runners this year? Lets just start by having a look at what we’re most looking forward to watching. This one coincides with Bill Murray Day at this year’s Festival and has a lot of buzz around it so it may prove to be a hot ticket to get my hands on. Murray plays a curmudgeonly, cash-strapped man who becomes a highly unlikely role model and friend to his new 12-year-old neighbour. From what I’ve seen so far, this character and the tone of the story seems to fit Murray’s personality and acting perfectly, which is when he’s at his best. I’m expecting this one to be a funny, uplifting, and heart-warming story that could very well find its way to the People’s Choice Award, as it will surely be an audience favourite. I hope this one finds its way into awards season this year if it lives up to what it’s promising to deliver. During the miners’ strike in 1984 in Britain, lesbians and gays from London found parallels between their struggle and what was happening to the miners. United by a common cause, they form an unlikely partnership to continue their fight. 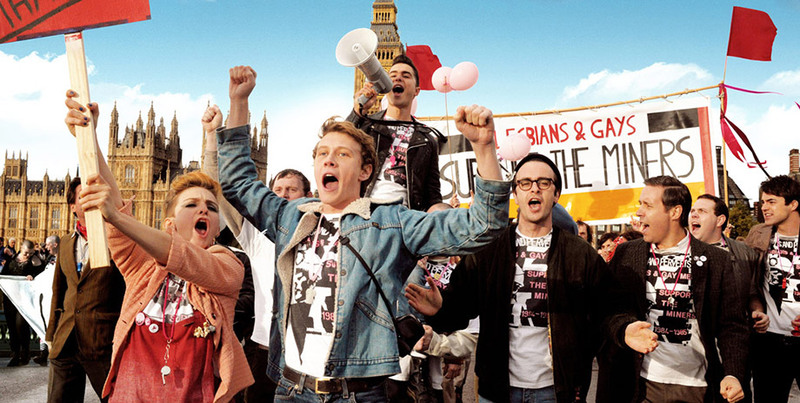 I’ve been in the mood lately for a fun, uplifting film and I’m also always interested in stories from key moments in LGBT history and this one looks to fit the bill perfectly. The film uses the power of laughter and humour to bridge the generation and cultural divide, and looks to be an uproarious adventure that’s sure to be a crowd-pleaser. Given that environmental issues are a cause I have been passionate about for a long time, I’m not sure if this one is going to anger me or energize me into action. This film looks to expose the nefarious world of professional skeptics hired by corporations and special-interest groups to cast doubt and influence public opinion on global warming and other environmental problems facing the world today. I suspect this film will just reconfirm what I already know and believe but my hope is that it causes quite the stir and gets people talking. This looks to be one of the hot films coming into the festival, also tipped as a possible People’s Choice winner, so this may also be a difficult ticket to get a hold of. Benedict Cumberbatch plays Alan Turing, a brilliant mathematician and computer scientist who breaks the Nazi’s Enigma code during World War II. This is also a crucial moment in gay history, as Turing struggles with his homosexuality during a time when it was illegal. This one also piqued my interest of LGBT history and looks to be a powerful and emotional film with intense performances that tells an important story. 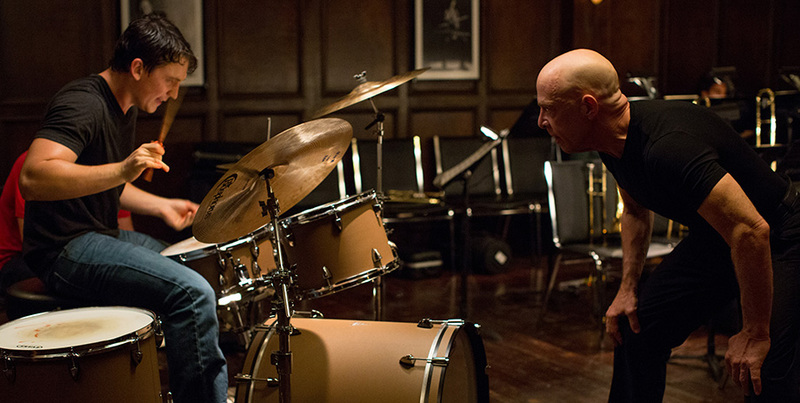 Already a hit on the festival circuit, having screened at Cannes and having picked up several awards at Sundance earlier this year, Whiplash tells the story of a determined young drummer pushed to the limits by his intensely forceful instructor at a prestigious music academy. I’m excited to see the performances in this one from J.K. Simmons and Miles Teller and I suspect we’ll be hearing more about these guys come awards season, at least I hope so. Teller looks to continue his impressive rise and prove what a talented actor he really is and the level of intensity given by Simmons in this role makes the film seem more like a thriller. It looks like both actors have really pushed themselves into new territory and I can’t wait to see them deliver. Two years ago I added The Act of Killing to my schedule as almost an after thought – something to see with my husband on the last day of the festival. Instead of a time-filler we received a singular experience, seeing the act of murder through an unrepentant (and jovial) murderer’s eyes. The Look of Silence is director Joshua Oppenheimer’s sequel and an absolute must. Last year Jon Stewart took a hiatus from The Daily Show to direct his first feature film. I thought little of it at the time, and enjoyed John Oliver’s turn as host. Now I find that Stewart is taking his storytelling chance to help stand up for a man to whose imprisonment he indirectly contributed. 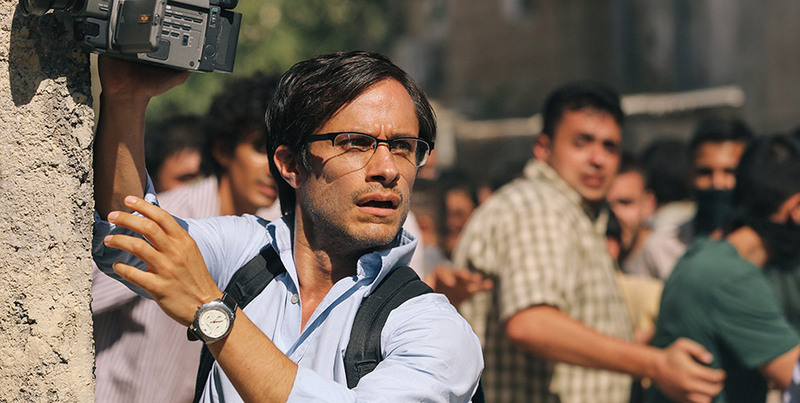 The memoir Then They Came For Me tells of the captivity of Iranian Canadian journalist Maziar Bahari, and Rosewater is its cinematic retelling. It’s sure to make big waves. Stewart will also be present for a Mavericks session. To start, I am a dedicated Kevin Smith fan. His comedic work captured my devotion when I was quite young, and to my boundless joy he’s proven to be a skilled dramatic storyteller as well. I put of seeing Red State for far too long, assuming t would be schlocky. Instead it was a powerful political satire and human drama. And so while Tusk looks at first glance to be a cross between Misery and The Human Centipede, I have a hunch that it will instead be much much more. Michael Parks was incredible in Red State, and after having also seen him in TAD’s We Are What We Are, I am on the edge of my seat to see how he and Justin Long will work together on screen. I really look forward to watching this movie from between my fingers. I am admitted not a follower of wrestling, nor am I a particular fan of sports movies. I am however a fan of biopics in which familiar faces become unrecognizable through strong direction and superb thespian skill. After Capote and Moneyball it should be no surprise that Foxcatcher will be brought to us by director Bennett Miller. I love Channing Tatum and look forward to seeing him in a singlet. But I also have huge respect for the talent of Steve Carell and am sure that Foxcatcher will be 2014’s Dallas Buyer’s Club. This one is near and dear to my heart. 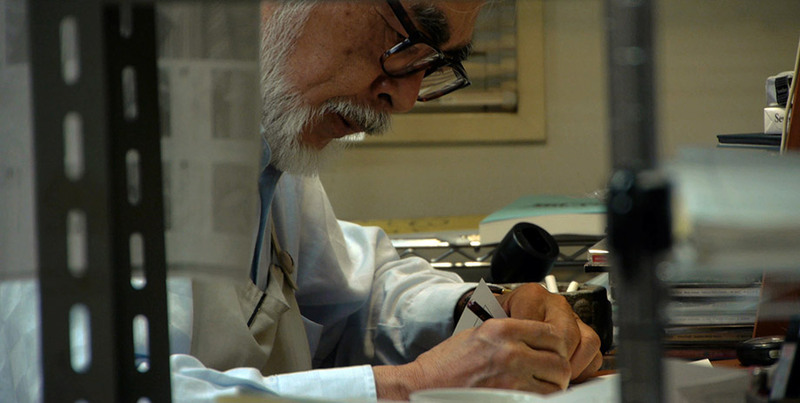 The work of Hayao Miyazaki has done so much for the history of animation that it is difficult to truly capture its import. Most North Americans have seen Spirited Away, and hopefully it led them to also experience his earlier work. Miyazaki’s films capture epic struggle and the search for identity in a simple and approachable manner that makes them accessible and universally loved. To get a behind-the-scenes look at something so magical will be truly precious. It seems that David Cronenberg has made it somewhat of a tradition to premiere his films at TIFF (excluding Cosmopolis), and that I’ve made it a bit of a habit to attend said premieres. Even if Cronenberg has moved past Viggo as his muse, and now prefers R Patts, I’m still not hindered – and am very much looking forward to this new offering. I’m sure the twisted, dramatic plot of a family uncovering its secrets admits Hollywood madness will be right up my alley. I missed Kristen Wiig’s 2012 film (then called Imogene), nor did I catch last year’s Hateship, Loveship. I am going to attempt to not make the same mistake – not only because she is really coming into her own as a Come-Dramatic actor, but also because the entire cast in this year’s Welcome To Me is outstanding (including, but not limited to: James Marsden, Jennifer Jason Leigh, Wes Bentley, Tim Robbins, and Joan Cusack). The story revolves around a mentally-ill Alice who after winning the lottery decides to stop taking her medication and creates her own local-broadcast television program all about her. Perhaps its my inner narcissism (or all of ours) which makes this film appealing – but I’m very intersted to see how this dark comedy plays out. While I didn’t get to see Adam Wingard and Simon Barrett’s You’re Next at the festival in 2011, I did catch it on a wider release, and was heartily disappointed I didn’t get to see it with the riotous Midnight Madness Crowd. The clever, frightening and dare I say – hilarious – offering has made their follow-up flick, a hotly anticipated one. Casting Dan Stevens, better known as the dashing, handsome, proper Matthew from Downton Abby (Spoilers – RIP!) is an exciting move, because there’s nothing I love more than when Good Guys Go Bad. Rawr! Sometimes, seeing obscure foreign films at the festival really pays off. For me, it’s been a long road of watching nearly every Danish Film TIFF has had to offer since 2005 – and my winnings came in the form of Susanne Bier’s In A Better World, in 2010. Watching this film at the tiny Isabel Bader theatre, then eventually seeing it win the Best Foreign Film Oscar, was a very triumphant experience for me. The same team is together again, with screenwriter Anders Thomas Jensen, giving us A Second Chance. Oh, and the cherry on top? Nikolaj Coster-Waldau plays the lead. (Psst – That’s Jamie Lannister from Game of Thrones). I suspect that this one will be a popular choice this year at the festival – but us die-hard fans Danish Film Fans won’t be left out! If you know me at all, this is absolutely predictable, Horror-Comedy? Yes please! Although with Flight of the Conchords’ Jemaine Clement at the helm, this one will absolutely veer on the side of Pure Comedy, but happy to watch the absurdity – and delighted that Colin picked this one for release to the Midnight Madness crowd because I am certain that if I see it with them I’ll miss half the dialogue from laughter, and have to watch it twice, anyways. Besides, its nice to lighten up what can otherwise be a very dark, serious, 10 days of TIFF-ing if you let it be. There are a few films that although they’re not in our top-5 they are certainly noteworthy. First up we have TWO offerings from TIFF Favourite Viggo Mortensen, Jauja and Far From Men. We’re planning on seeing both. There’s also two films from festival newbie (if we’re not counting his Cameo in Diary of the Dead,) Simon Pegg – Kill Me Three Times and Hector and the Search for Happiness, another double-bill we hope to catch. What are the films you’re most looking forward to? We’d love to hear from you, drop us a line on Facebook or Twitter!